Each pupil should choose 2 sheets of coloured paper. For this activity have your measuring tool ready. The measuring tool is taught in the lesson called ‘A Measuring Tool for Comparison of Lengths’. What are the names of these polygon shapes? What is special about these shapes? The pupils investigate their sheets of coloured paper. 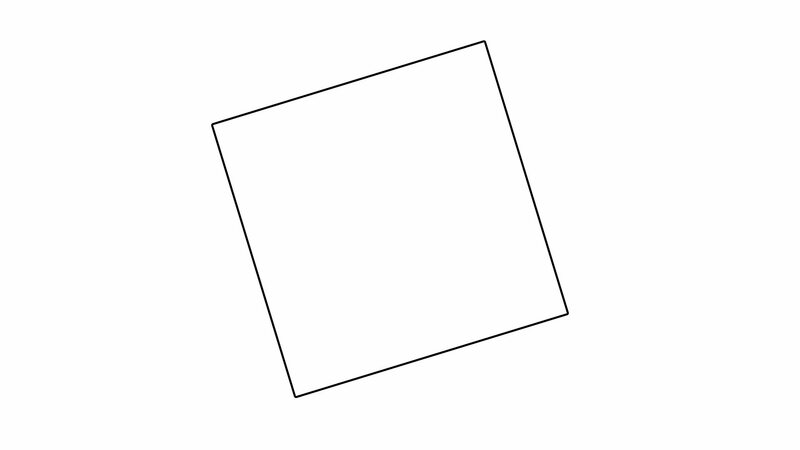 The name of the shape is a square. A square has 4 sides equal in length, and 4 right-angles. Present this answer only after the discussion has taken place and an investigation done with the measuring tool. On one of your sheets, fold one vertex to lie on top of the opposite vertex. It is important not to touch the pupils’ work. 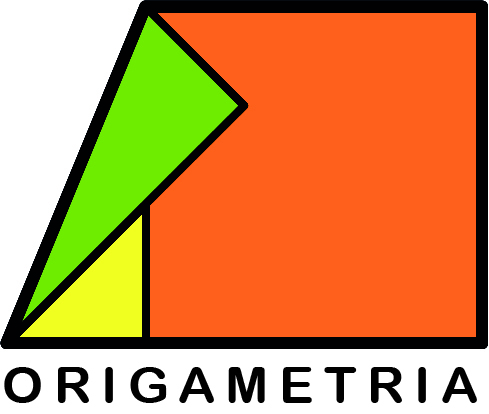 The pupils should place together their two triangle shapes having sides of equal length joined. What type of quadrilateral shapes can you form? The pupils should put together triangular shapes joining sides of equal length. With the two triangular shapes, a quadrilateral shape that is a square shape with 4 equal sides and 4 right angles has been formed and a quadrilateral shape which is a parallelogram. The answer should be shown only after investigating the different shapes that have been formed using the measurement tool for checking sides and angles. Fold opposite vertices on your triangular shape. It is important not to touch the work of pupils even if the folds are not exact. This will not influence the final model. Fold two of the vertices to the line of symmetry, as shown in the animation. Can you find a square shape on the folded paper? At this stage, it is suggested that each pupil should investigate his own folded sheet and with the measurement tool, find the square shape. On the folded paper, there is a square shape with 4 equal sides and 4 right angles. Fold the vertices of your shape as shown in the animation. 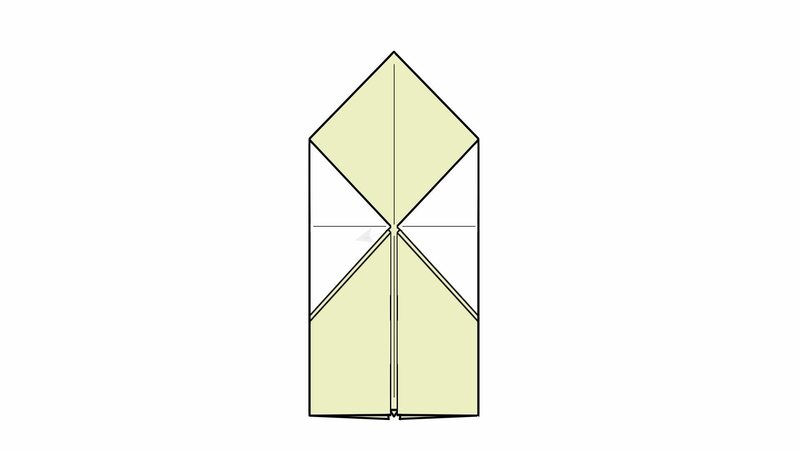 Open out only one of the triangular shapes on your folded shape. Check that each pupil has folded only one of the triangular shapes. Turn over the folded shape. Check that each pupil has turned over his shape. Fold 2 sides of your shape to the line of symmetry as shown in the animation. It is important to not to touch the shapes of the pupils. 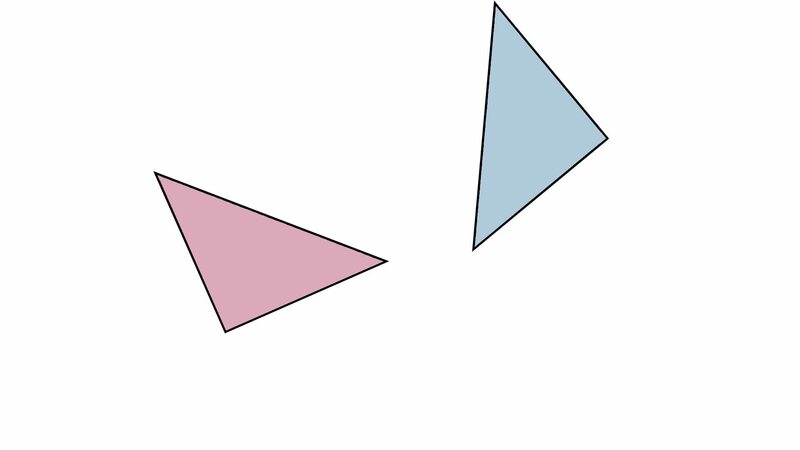 Which quadrilateral shapes can be seen on the folded shape? This is a challenging question and possibly several pupils will not see the square and trapezoid shapes. It should be decided by the teacher if the question should be asked at this stage. Two different quadrilateral shapes have been found on the folded shape. 1. 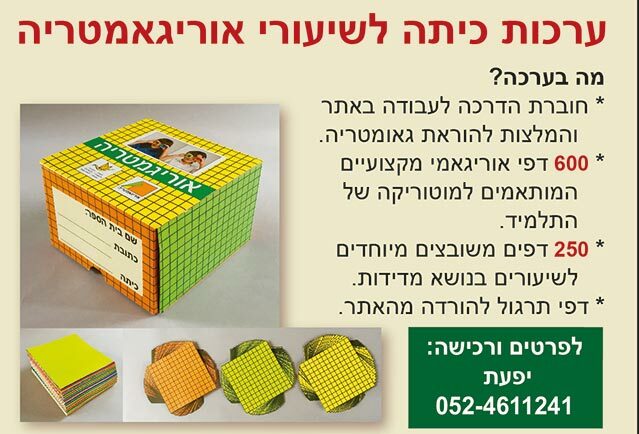 A square shape with 4 equal length sides and 4 right angles. 2. A trapezoid shape with 4 sides. It is important to point out that both of these shapes have four sides. We can see additional shapes of a trapezoid on our folded paper. Turn over your folded shape. Check that each pupil has turned over his folded paper. Open out the two folded triangles. Now the space ship can take off! The space ship needs fuel. Turn over the shape. To conclude, fill your space ship with fuel. 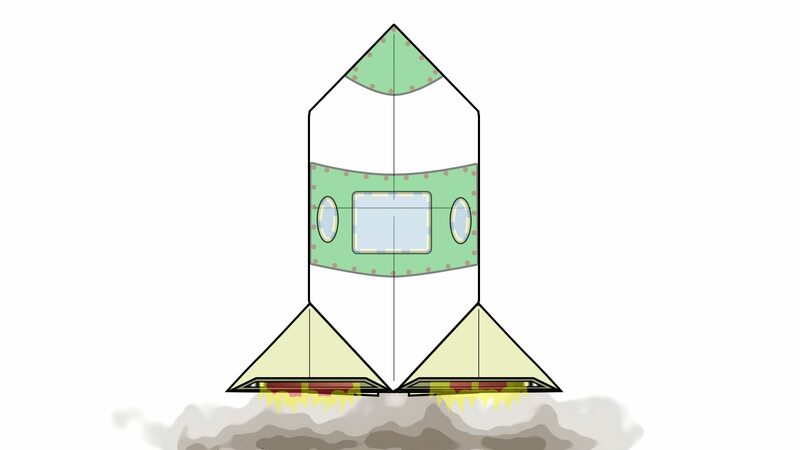 Some space ships are fuelled with liquid fuel, others with solid fuel and some with oxygen from the atmosphere. Origami paper 15 cm X 15 cm, 2 sheets per pupil.